We, and that’s including myself, often talk about multi-domain master data management as a marriage between party master data management (also called Customer Data Integration abbreviated as CDI) and Product Master Data Management (also called Product Information Management abbreviated as PIM). The third most common master data domain is locations (or places). 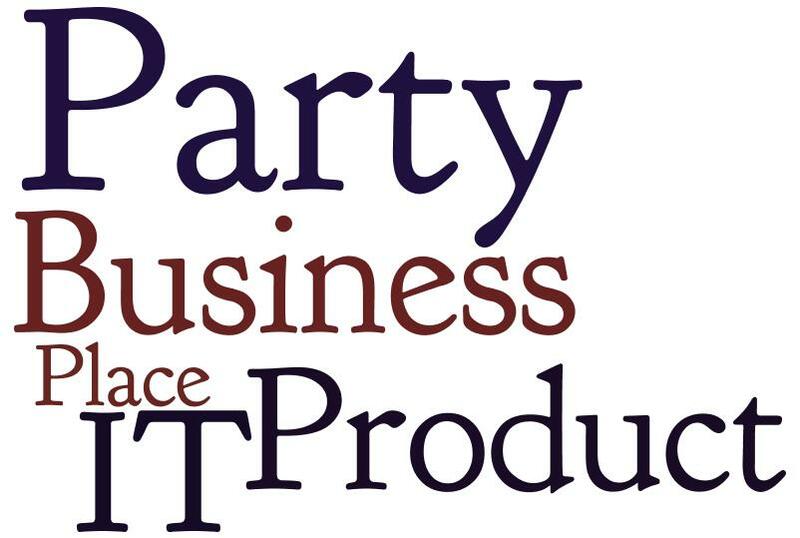 I like the term place, because then we have a P trinity: Parties, Products and Places. However there may be a fourth P involved, as I read a post today by Steven Jones of Capgemini telling that multi-domain MDM is a Pointless question. The Premise of the Pointlessness is that Party and Product is an IT Perspective. The rest of the business sees the world from mainly either a customer centric perspective or a supply centric perspective. I agree about that these perspectives exists too and actually made a blog post recently on sell side vs buy side master data quality. I don’t agree about that this is an (pointless) IT versus business question, obviously also because I have a hard time recognizing the great divide between IT and business. From my perspective is IT a part of the business just like sales, marketing and purchase is it too. And from a product vendor perspective in the MDM realm you actually address the conjunction of business and technological needs a bit opposite to either being a database manager vendor aimed mostly at the IT part of business or a CRM or SCM vendor aimed mostly at the sales or purchase part of business. Multi-domain MDM isn’t in my perspective a pointless place, but a meeting place between IT and all the other places in business and the core business entities being parties, products and places. Great, share your opinion about IT versus business. Only thing is that I sometimes have the feelings that some people just by attitude create differences. But the debate must go on..
Tak Kristoffer. Certainly the attitudes are the hardest thing. My reason for calling it a pointless question is that MDM should, from a business perspective, ALWAYS consider the three P’s. Technology is clearly important but it’s also important to view MDM from a business perspective rather than force a technology view on the business. So for customer you need all three and from supplier you need all three, there might be overlaps but the governance and management is liable to be different. If you approach MDM from a business perspective it also ends up simpler than trying to force an IT model on the business then compromising and customising your technology solution. Thanks Steve for commenting here. In that perspective vendors should stick to making CRM and SCM products? This will be like the situation was 10-15 years ago, which in many cases, because of the other applications already there, lead to a situation with data silos in the enterprise. The rise of MDM probably happened therefore. In first place with single domain MDM addressing the biggest pains, and now increasingly with multi-domain MDM addressing more pains the same way. In my eyes you can’t separate business and technology. MDM is one of those things being in the intersection.